Last edited by trancefan0883; Feb 22nd, 2012 at 18:38. Great work Dan , finally a decent broadcasted event in Canada !! This event is gonna be a lot of fun! really looking forward to it, trance back in Toronto! that we shall my friend. wicked, hope to see you there. I wanna thank After Hours for doing this live broadcast for our event. This event is going to absolutely huge. I knew Toronto wanted new Trance artists, so I decided to move my company to Toronto to give what the people wanted. I want to thank Vola for giving Pure Trance to opportunity to show case what we can do. January is a start of new Trance in Toronto. 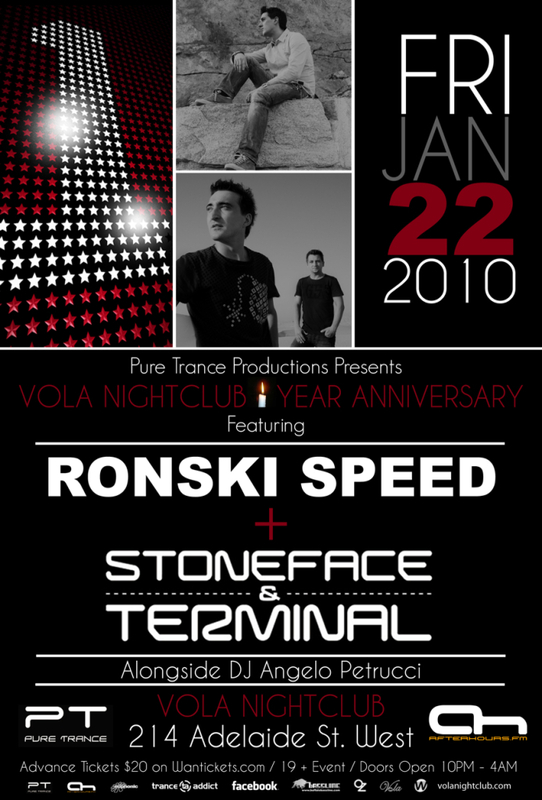 Pure Trance has 3 events planned for the first 3 months of 2010. February's event will be announced the first week of January so keep your eyes peeled on Welcome to a site For Trance Music Fans - MP3s, Music Videos, Forums for the details. Last edited by Pure Trance Prd; Dec 20th, 2009 at 18:50.
nice one !! hope to be online at that time !